Tfue, considered one of the best Fortnite players in the world and member of FaZe clan, just announced on his stream that he changed his Fortnite keybinds. Watching his stream it is obvious that it will take some time for him to adjust, but we are sure that the move has been thought out since a lot of money is on the line in future tournaments (just this weekend Fortnite hosted two $500,000 tournaments). Tfue is not the only pro Fortnite player that recently announced he changed his keybinds. SypherPK, another pro player from Luminosity Gaming, explains in a recent video why he changed his keybinds after using them for 10 months. TSM Myth also jumped on the wave and changed his keybinds after a long time. It seems like a lot of pro players have gotten more focus on optimizing and tweaking the smallest settings to give them a competitive advantage. While copying the settings from professional players does not guarantee you become a better player, they can be a good starting point and used as inspiration. In the video, SypherPK explains how he saw that a lot of players got faster and faster with building, and he did not want to fall behind as a competitive player and felt it was necessary for him to change keybinds to stay on top as a competitive Fortnite player. We have gathered all of Tfue’s new Fortnite keybinds, which can be seen listed below. Notable changes is that he changed his Crouch key to Left CTRL, Use to F, (previously E), Floor E (was F before), Stairs is now Q (from V) and Building Edit from Left Alt to V.
For always updated Fortnite settings & gear, check our page on Tfue Fortnite Settings. 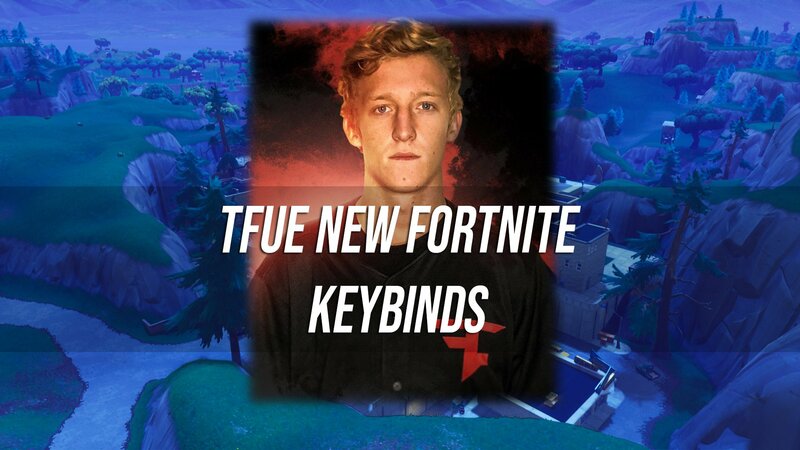 So why did Tfue change his keybinds? The same reason as SypherPK and every other pro player, they want to stay on top of the competitive scene. A lot of players are getting better and better and it is always a game of staying on top. If you are not willing to improve and work on every little detail, you will quickly fall behind in the competition. Especially since Fortnite announced they will spend a stakkering one hundred million dollars on esports and tournaments in 2019. You have to think that Tfue is employed by FaZe clan, they pay him a monthly salary to be the best player. It is his job. At the same time hundreds of people are ready to take his spot anytime. We see it often in esports, teams change up their rosters and replace old players with new and better players to have the best esports team possible. Team SoloMid (TSM), recently announced that they benched CaMiLLs. TSM Aimbotcalvin is put in as a temporary replacement for CaMiLLS, but Daequan said on stream that they are actively looking for a permanent 4th player to stand in. The reason for benching CaMiLLs, was apparently that he did not improve enough for TSM to have him as their top competitive player along with Deaquan. We hope you found this article useful. What do you think are the best keybindings for Fortnite, comment below with your suggestions.